Styled with ryley pant and dowling shirt . 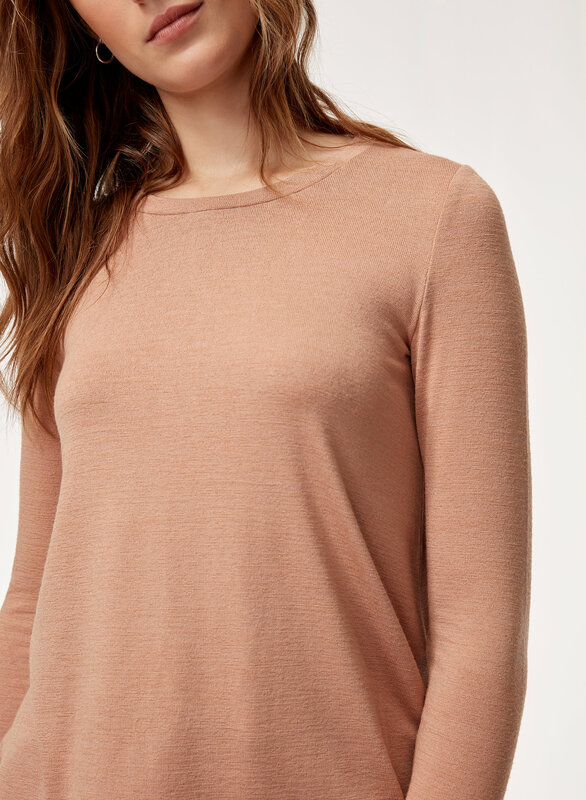 This slightly flared silhouette is made from Reposa™ — a luxe jersey knit that hangs beautifully and skims the body in a flattering way. I love this Tshirt! Its a minimal and essential piece that goes with everything. Its flowy and cute. The fabric is soft on skin. Im so happy I bought this. These are my go to t-shirts. Sturdy material that doesn’t wear out like regular t-shirt material. Make more colors please!!! Nice basic piece. The trapeze shape is nice with skinnies. I love this shirt. The material is really warm and comfortable. The style is plain, but it can be dressed up or down depending what you wear with it. It fits me perfectly. This top is perfect in every way! Love the fabric of this sweater. It’s a little wider at the bottom than I anticipated but I still love it. Is a little longer which I like and super soft. Want to get it in other colors! I can’t say enough about the Ruth T-Shirt. 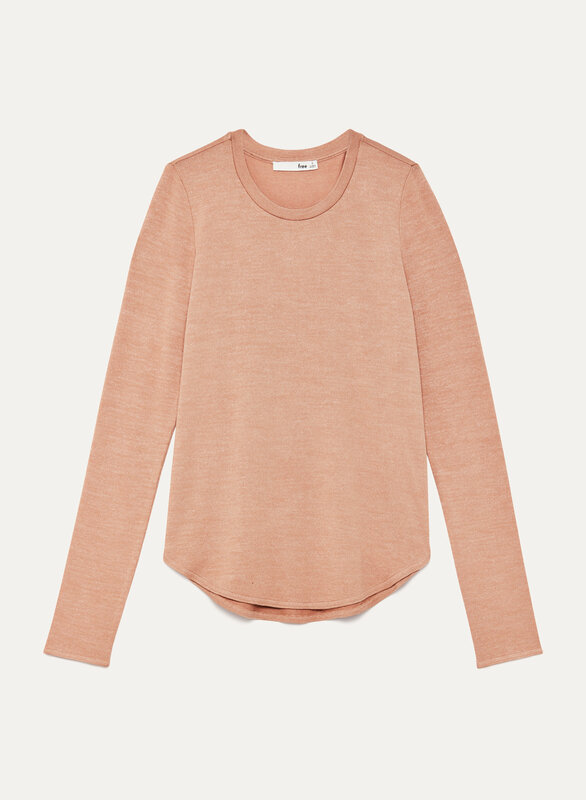 Similar to the Esther T-Shirt the fit provides just the right amount of drape for a flattering look. I own several in various colours. They are a great layering piece but also look good on their own. I would be shattered if you discontinued them as it has taken me a long time to find a T-Shirt I am comfortable in. Such a great shirt for work. Fits really nicely. I love this shirt I have bought it over and over. Super easy to throw and and look good, cute shape and love the fabric. Love these shirts but I tend to size up. I usually wear an XS/Small and I ordered a medium. Love the style and cut of this shirt. Easily my favorite. 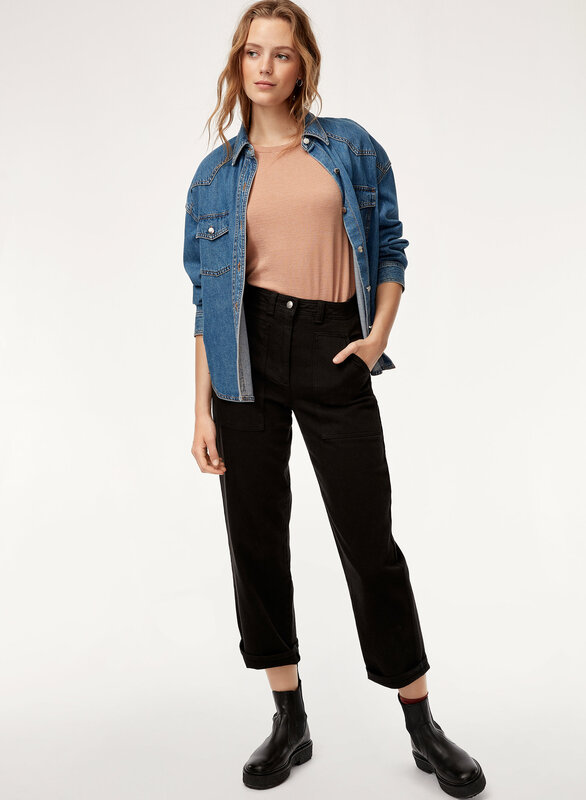 Great super comfy basic. Washes and dries well, no pilling or fading after many washes.